Since its debut in April, the new 12-inch Retina MacBook hasn't seen that much in the way of functional, protective travel cases showing up either online or in brick-and-mortar stores. Fortunately, San Francisco-based accessory manufacturer Waterfield has released not just a single travel sleeve for Apple's newest MacBook, but an entire line of bags and cases for early adopters of the device. 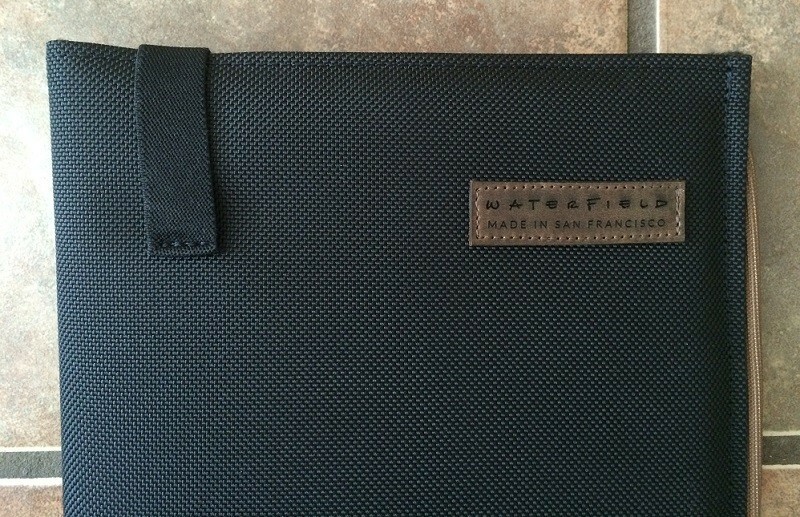 Waterfield sent me the "Dash MacBook Sleeve" to review, and the case is covered in a black ballistic nylon outer shell but houses a plush, smooth inner liner to ensure your brand-new MacBook won't scratch or scuff while resting inside the case. The Dash's backside comes packed with a mesh netting that will hold accessories like cables and headphones, and to ensure your MacBook doesn't tumble out, there's a single elastic band attached on top. 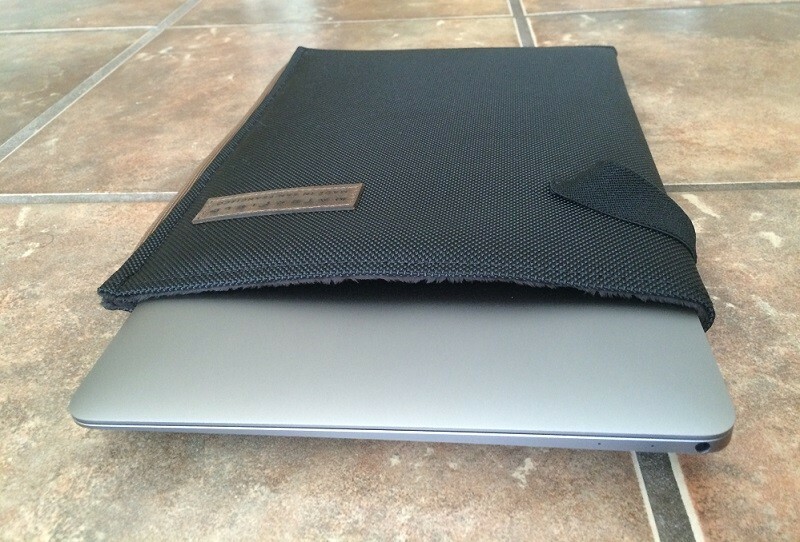 After a few days taking my MacBook around with the Dash sleeve, I barely have any big quibbles with the case. While certainly a downside for some, I found Waterfield's decision to stick to stark, bare-bones color options -- all-black or with a copper trim -- refreshing over some of the more out-there case options on the market. Notable as well, the case barely gains any thickness while housing the Retina device, retaining the 12-inch MacBook's sense of lightness even in a protected environment. The added mesh compartment on the back will add weight, though, especially once you begin adding content like the MacBook's USB-C charging cable. It'll also make the well-proportioned case slightly less seamless if placing the Dash within another bag or compartment while traveling. But, otherwise, the Dash's outer nylon shell is as protective and reassuring as Waterfield promises, and even feels like it can shirk any sort of moisture or accidental spill pretty easily. The material is also satisfying to grip, and won't easily leave your hands when walking for extended periods with the case. Moving away from aesthetics, the Dash's one big hindrance may be the single elastic band that determines whether your MacBook is secure or not. The band is simple to move back and forth, meaning it won't be a hassle in speedy moments when you need to get to your MacBook quickly. But that's also a downfall, because I'm not sure I'd feel entirely positive about placing the Dash on its own within another bag -- which is what most do with sleeves like this -- for fear of the band popping open and releasing the computer to the bag's other contents. The bigger, more likely concern is other contents getting into the Dash, since the case's top opening has no definitive closing mechanism, leaving your MacBook exposed on one side at all times. 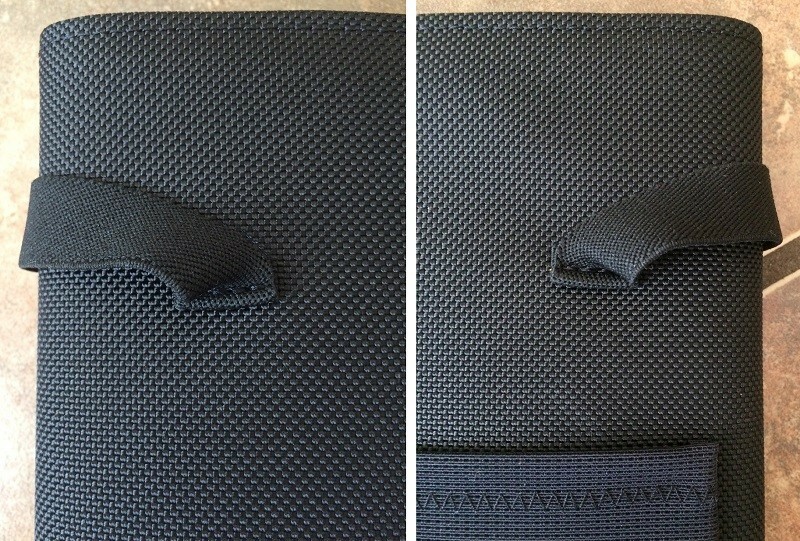 Waterfield angles that into a positive, in that you can charge your computer while it rests in the case, but users searching for absolute protection may not find what they're looking for here. The opening may hinder drop protection as well, with the elastic strap not fully keeping the MacBook behind the protective barrier of the inner foam when tilted upside down for a period of time. The Dash MacBook Sleeve sells for $59 on Waterfield's official website in Black and Copper, and is even available for the traditional 13-inch and 15-inch MacBook options. Although its lack of full-bodied security for your MacBook hurts the case's overall protection selling point, I'd say that in normal day-to-day usage the Dash will be more than enough armor between your MacBook and the world. At $59, the Dash is also a bit on the higher side of the average MacBook sleeve price point, but Retina MacBook early adopters aren't exactly being inundated by sleeve options this early in the product's life cycle. 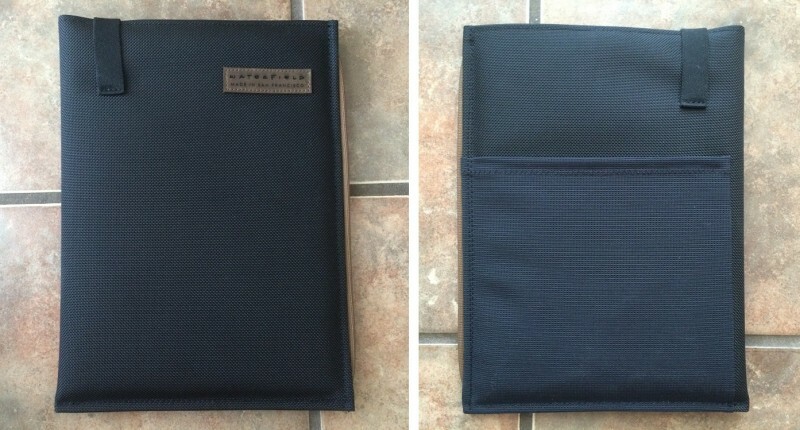 Still, even if they were, Waterfield's handsomely crafted, no-frills case would easily be one of the top contenders. how much did they pay MR to 'review' this on the main page? 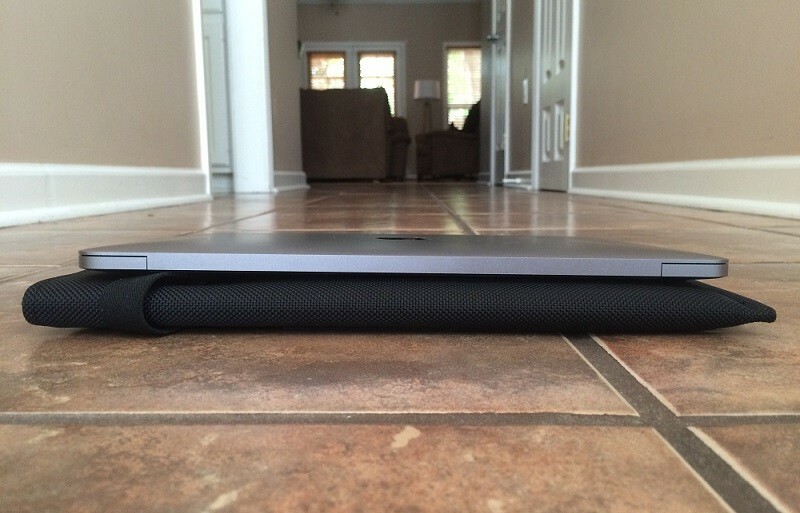 "Note: MacRumors received no compensation for this review. " I'd like to make what probably seems an odd request for future reviews - how does it smell? I find a lot of neoprene and nylon cases and bags really smell horrible for ages after you buy them, a couple of items I had to just get rid of. I do have a sensitive sense of smell, but this information might prove useful to others too. First of all, as I write this I distinctly remember sitting at my desk, staring at the case and trying to come up with any positives and negatives I may have missed as I finished my review. First thing I did? Sniff it, and actually, thought it smelled pretty great. Like new school supplies, if that makes any sense? Like someone else said, smell is largely subjective, but I'd be shocked if someone thought the Dash smelled awful. Nothing, rtf full post. Also it's not on the main page, it's on the Mac Blog. Thanks, Mike. What he said.